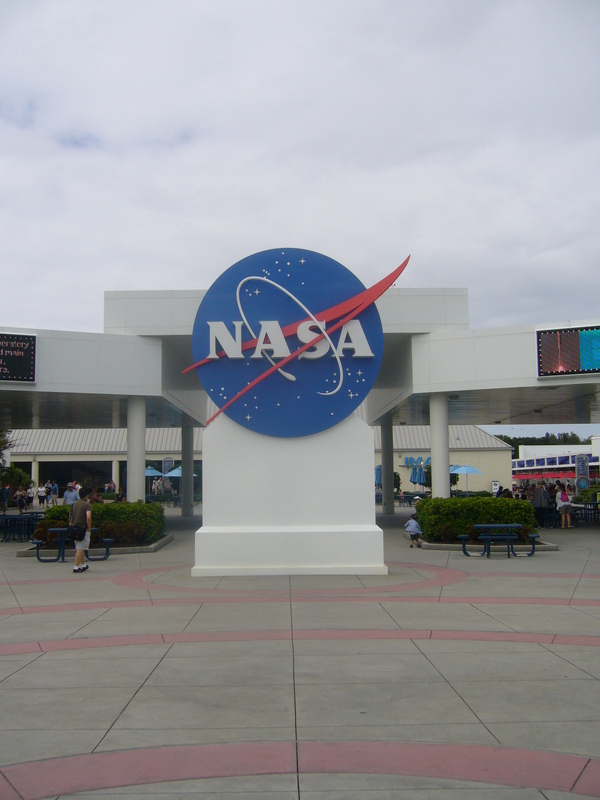 I was up pretty early in the morning and got myself ready to meet Milton of Gray Lines tour company who would be taking me and several others from the Disney World resort to Cape Canaveral and the Kennedy Space Centre. On the way, Milton offered us some information on the K.S.C. and got so involved that he missed several exits along the way. After turning around a couple of times we were on track and he informed us that there would be the option for an air boat ride along the way. 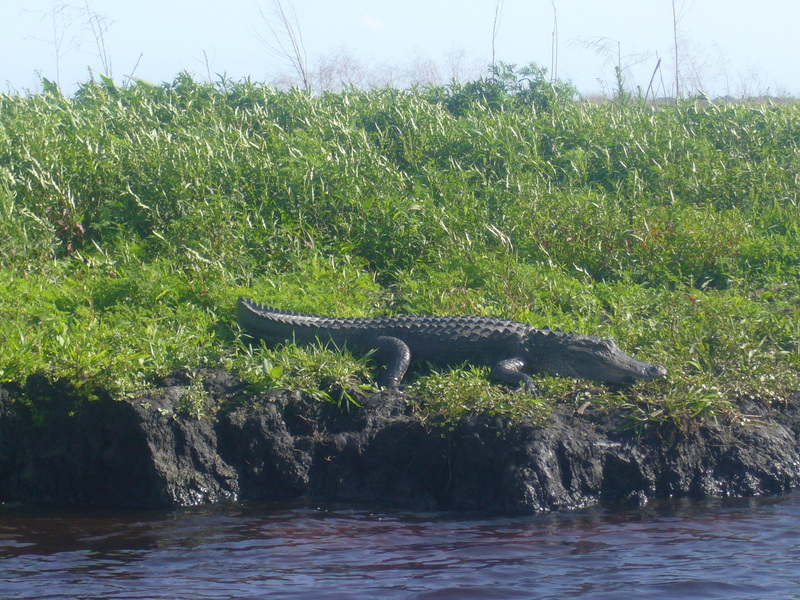 Half the passengers had already paid for the extra, and I felt that as it was a choice between sitting on the banks for forty minutes and seeing yet more ‘gators, I had to get involved. We pulled up to Lone Cabbage Bar & Restaurant, where Milton arranged for some of the older gentlemen on board to try some ‘gator tail and frog’s legs after the ride. 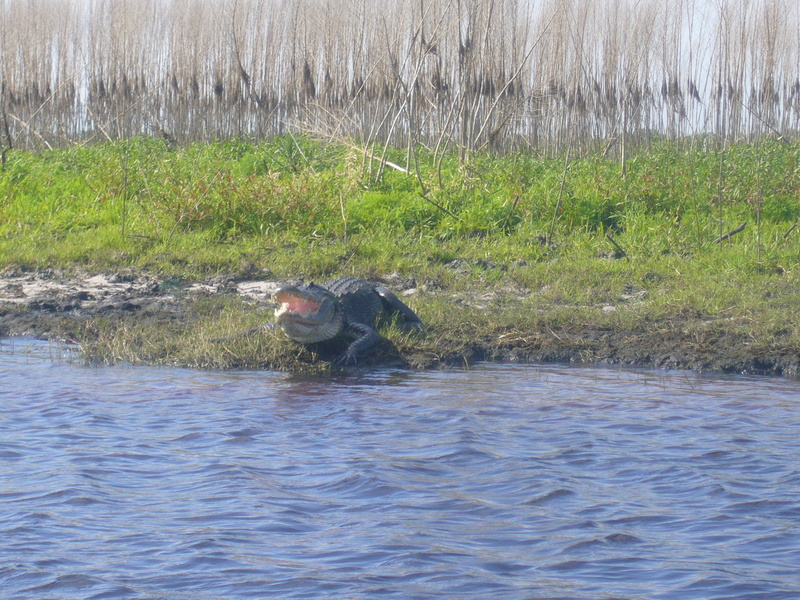 To begin with I wasn’t expecting to see much more than I had in the Everglades but I was surprised; the ‘gators were more numerous and much larger and I was informed that they were more common in the north as there was much less traffic across their natural habitat. There were also a larger variety of birds including a juvenile North American bald eagle. On the boat, I got talking to the Australian couple sat next to me who informed me they were enjoying the honeymoon and had spent the last month in the U.S.A and were soon to head home. We spent much of the day chatting about travelling and when I would decide to visit Australia. After the boat trip, we headed back to the Lone Cabbage where the ‘gator tail was consumed amid claims of “tastes like chicken!”. 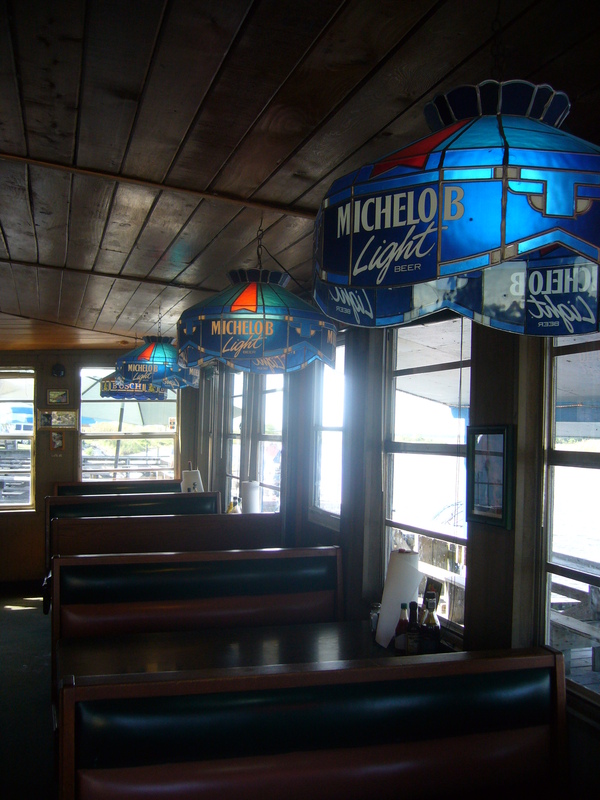 I liked the interior design of the bar, which was much closer to my expectations than the bars I had been to in Miami; with decorative shades hanging over the single booths, photos of friends of the staff, local heroes, and sporting celebrities who had visited hanging on the walls next to novelty licence plates. Once everyone who was eating had finished, we got back on the tour bus and drove on for another half an hour until we reached the Kennedy Space Centre. We all piled out, were given our tickets and headed into the centre maps in hands, all with our own plans of what to do. Milton had informed us that we should try to get the bus tour of the facility done first and that it would take approximately one and a half hours. How wrong he was. 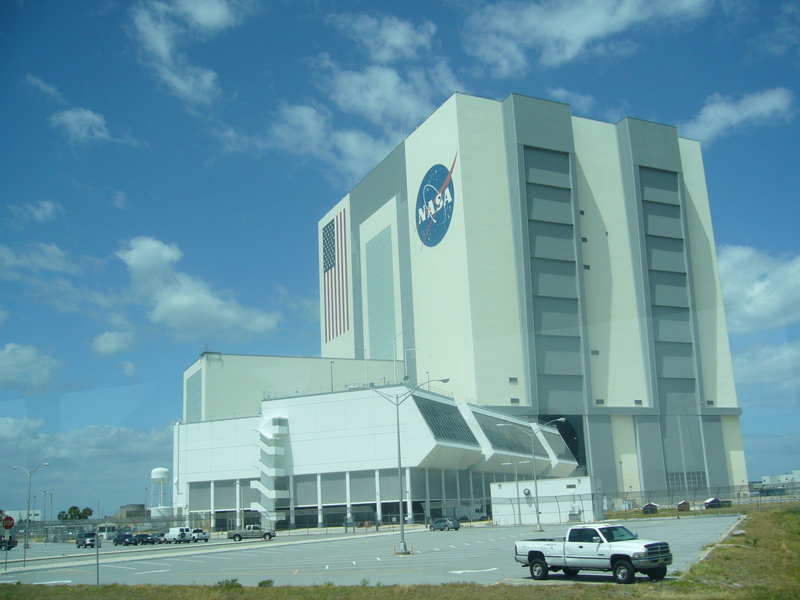 I got straight on a bus and was taken past the Vehicle Assembly Building, or the V.A.B. It turns out, if you want to be an astronaut you have to be a massive fan of three-letter acronyms. The bus then continued to an observation deck, which offered incredible views over the whole of the centre. 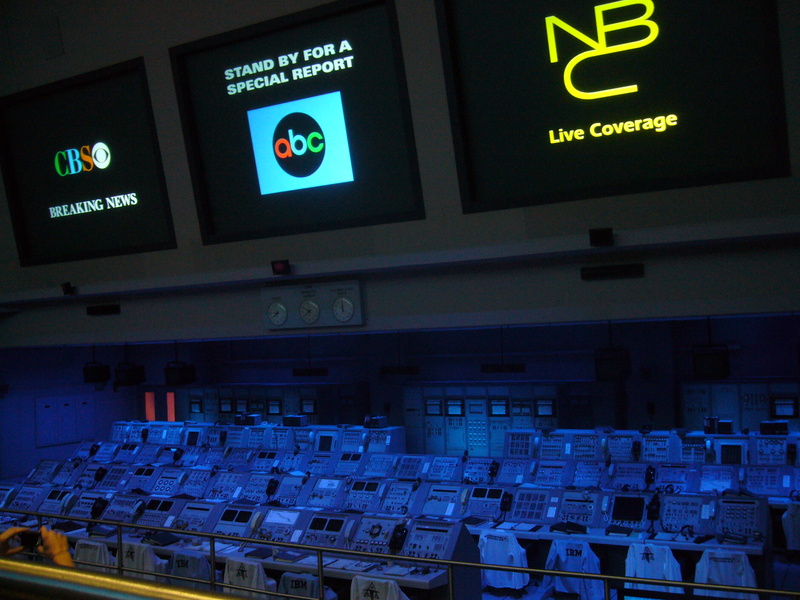 The next stop was the Saturn Centre, where there were a few films available to watch documenting the launch of Apollo 11 and the successful completion of John F. Kennedy’s goal of “landing a man on the Moon and returning him safely to the Earth” before the end of the 60s. Up until now, I didn’t really have much knowledge of the space race during the Cold War, the lives lost for the cause, and the continuous risks that astronauts put themselves through, and the unquestionable faith they had in the engineers and control staff back on Earth. 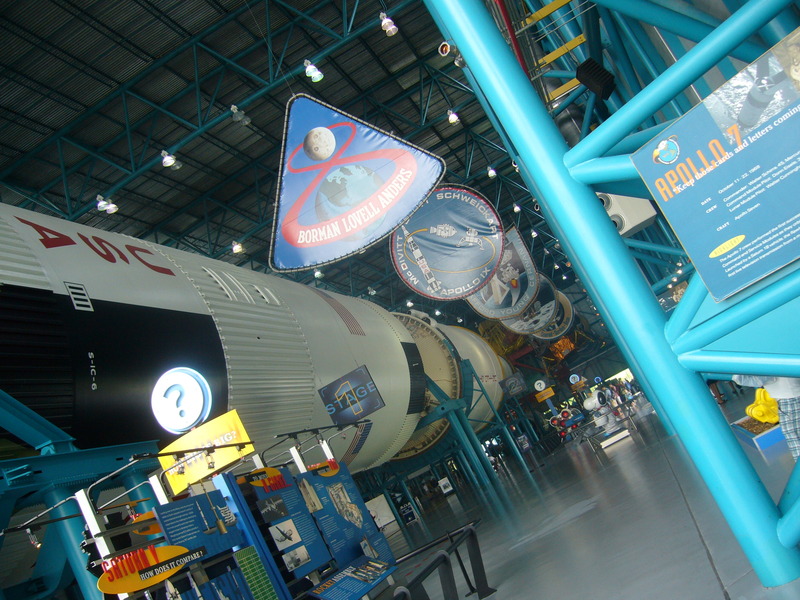 Unfortunately, my compromising on size with a camera meant that I had lost the function of panoramic shots, which has prevented me from bending the Saturn V into one shot. After the Saturn Centre, the bus took me back to the visitor centre where I caught a 3D Imax Hubble experience. 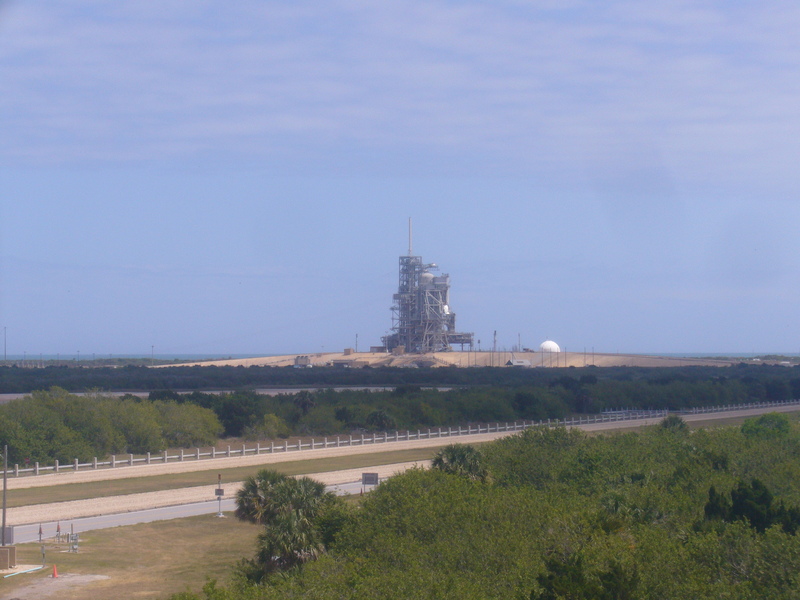 It was perhaps the highlight of my day, showing both the launch, stages of repair and the capabilities of the Hubble telescope. The way in which it is able to see through the clouds of nebulae using infra-red, and the distance through space it can see is simply mind-blowing. It’s also incredibly humbling to be reminded just how insignificant our planet is on the scale of the Universe. However, it’s equally amazing to know of the progress, regardless of how small, we have made into the exploration of such a massive entity.